Showing 37 articles from May 16, 2018. LOUISBURG -- Franklin County staff presented a budget Tuesday that spends more money, would raise the tax rate, hire new employees, fully fund the school system' s budget request and charge new developers a higher fee to bolster the county's water capacity. Residents will get a chance to weigh in on the proposed $81.6 million. 2018-19 spending plan this coming Monday night. LOUISBURG -- Louisburg High School football fans are going to have to wait at least a year longer than expected to see their Warriors play on a new football field. And even that may take just a bit of luck if the team is to enjoy the new field in the 2020 season. The Franklin County Board of Education was shooting for a 2019 debut of a new football field and stadium but a combination of factors have pushed that date off a year -- and even that is contingent on "good" bids and finding some additional financing. LOUISBURG -- It's fitting that Louisburg College is flanked by the Tar River because it's where Sara Evansek learned to fish -- at least figuratively. 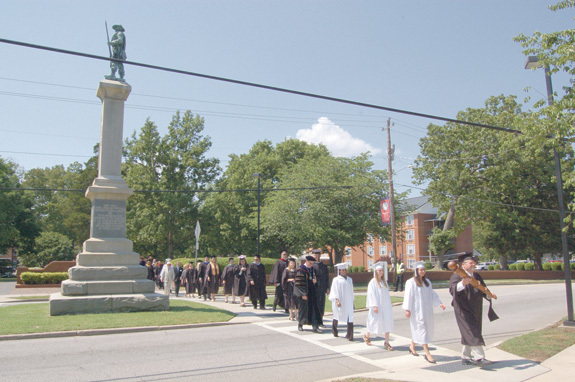 Evansek was the student speaker during Louisburg College's commencement last week, wading her way through an emotional speech that thanked Hurricanes' faculty and staff for giving her the educational, practical and emotional support that served as proof of an ancient Chinese proverb she picked up from a book she read in high school: "Give a man a fish, feed him for a day," Evansek said. "Teach a man to fish and feed him for a lifetime. YOUNGSVILLE -- Residents will get a chance to speak upon a town budget that raises the tax rate and the amount of revenue that town staff says it will need to manage growth. Earlier this month, Town Administrator Roe O'Donnell presented commissioners with a 2018-19 budget that proposes to spend $2.1 million compared with the current $1.7 million budget. What's behind school closing, protests? LOUISBURG -- Why were Franklin County Schools all closed on Wednesday? Because so many teachers requested a personal leave day to attend a rally in Raleigh that there were not enough substitutes to cover for them. That was the word Monday night from Dr. Rhonda Schuhler, superintendent of the county school system, as she explained to the board her decision to close the schools. It's a 'berry' good season despite the fire ants! Don't look now but Memorial Day is just about a week and a half away -- and that means the unofficial start of summer is almost here! The schools are in the short rows, farmers are scrambling to get crops in the ground, gardens are starting to look like gardens and, as always, deer flies are making tasks like lawn mowing more challenging and painful. If you think statistics are dull and boring, you must have missed the ones presented by Franklin County Health Director Scott LaVigne during a recent county commissioners' meeting. 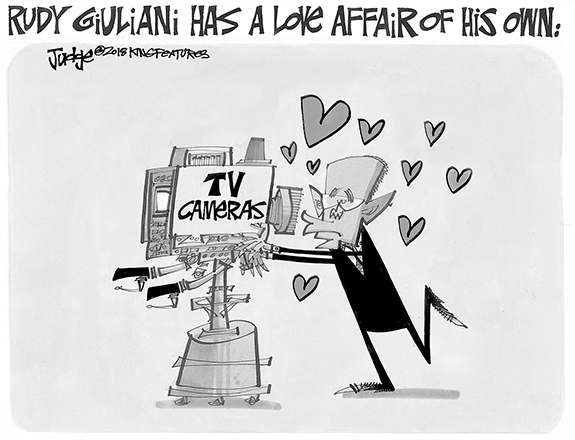 His statistics were stunning -- and frightening. Can closing local schools be a 'teaching moment'? By the time you read this, Wednesday will have come and gone. 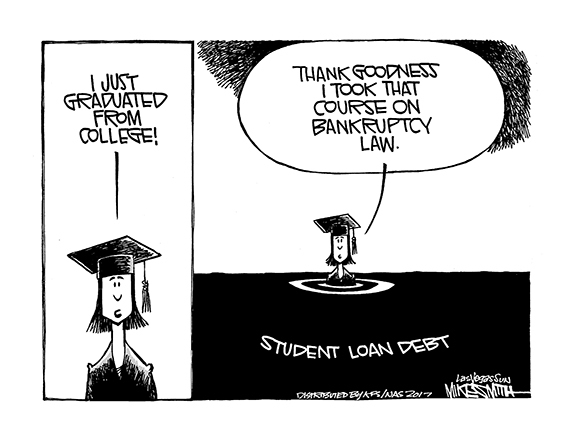 So too will the "March for Students and Rally for Respect." What will be important, then, is what (today) and beyond will look like for educators and students. LOUISBURG--Funeral services for Billy G. Solomon, 55, who died Saturday, May 12, 2018, will be held Saturday, May 19, at 3 p.m. at Gillfield Baptist Church in Castalia, with the Rev. Linda Richardson officiating. Burial will follow in the Gillfield Church cemetery. LOUISBURG--Michael "Kent" Ray, 66, died Sunday, May 13, 2018 at his home. Services will be private. The family will be at the home of Pauline Burnette. FRANKLINTON - Randall Craig "Pig" Sherron, 56, died Thursday, May 10, 2018. Graveside funeral services were held Sunday, May 13, at Fairview Cemetery, with Pastor Spencer Strickland officiating. 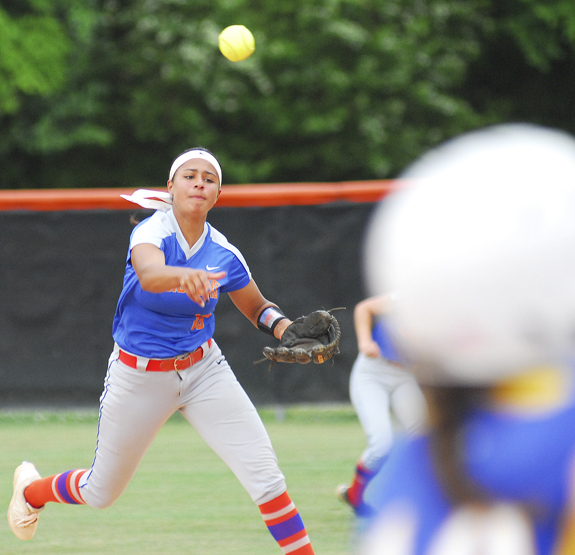 Louisburg High School's Alex Edwards (right) scores a run off a perfectly executed squeeze bunt during Tuesday evening's home playoff softball victory against Princeton. 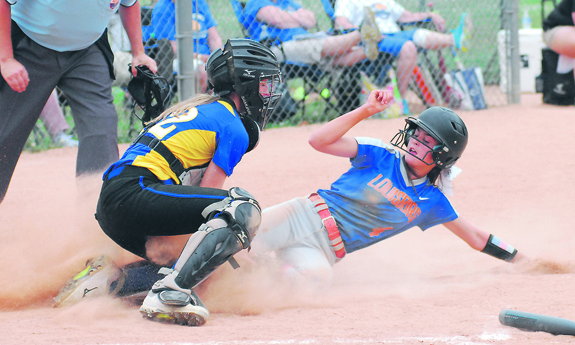 LOUISBURG -- With offensive support on a premium in a nail-biting postseason contest, Louisburg High School's Laine Barefoot took it upon herself to help her own mound cause during Tuesday's home thriller against Princeton in the third round of the Class 1-A State Softball Playoffs. 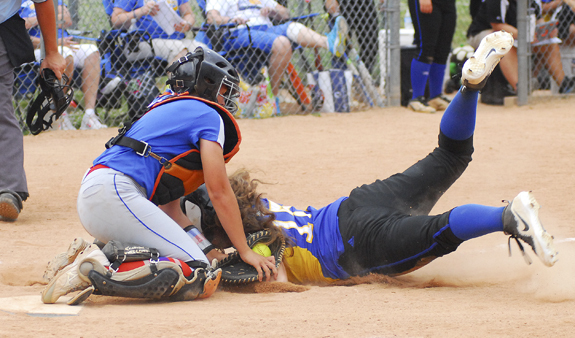 Barefoot plastered a first-pitch home run far over the left-center field fence in the bottom of the fifth to provide the eventual winning run as part of the Lady Warriors' tough 2-1 triumph over the Bulldogs at the LHS Softball Field. 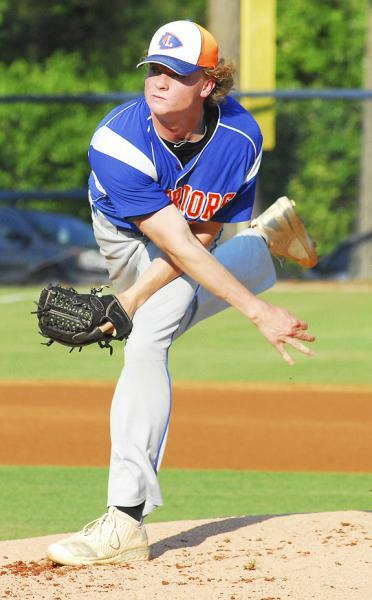 LOUISBURG -- The seedings for the Class 1-A State Playoffs haven't been kind to the Louisburg High School Warriors in recent years -- and this spring proved to be no different. 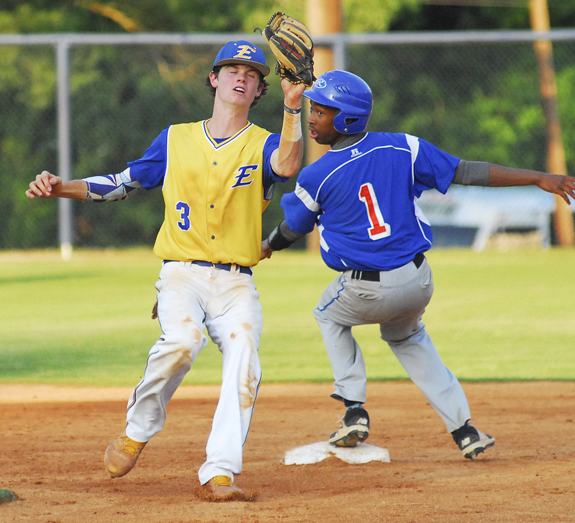 Once again, LHS found itself with a tough draw after receiving a first-round bye -- this time with a home meeting against Edenton Holmes, which won the state baseball championship on the Class 2-A level during the 2017 campaign. LOUISBURG -- One conference championship. One conference Player of the Year. One conference Coach of the Year. Six All-Region performers. Eight state track and field championship qualifiers. 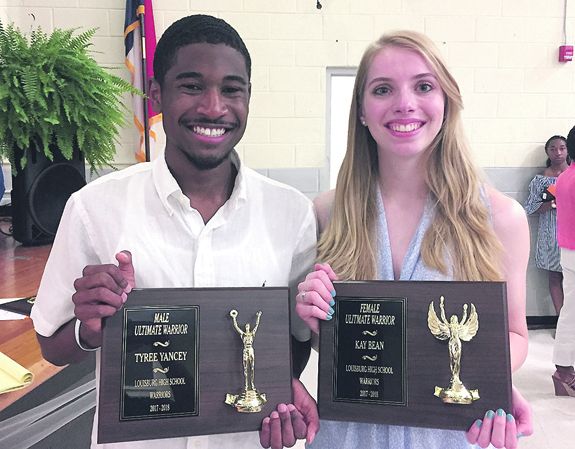 And countless All-Northern Carolina Conference standouts. 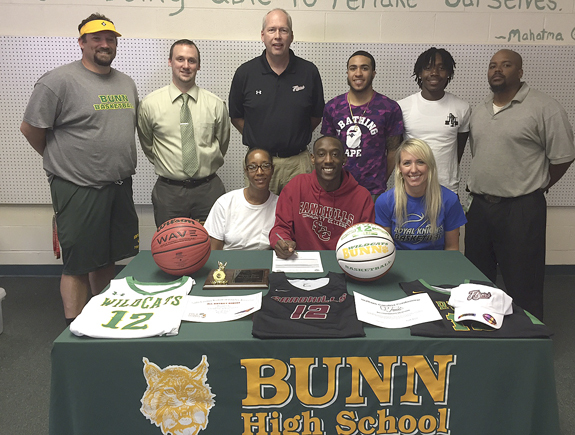 BUNN -- Sandhills Community College's rich tradition of having a Bunn High School alum on its men's basketball roster will continue for the next four seasons. 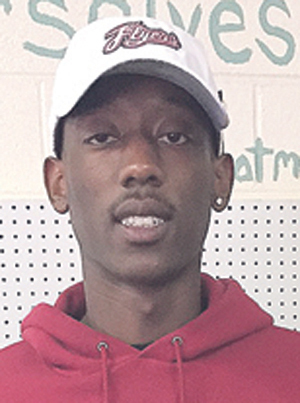 The latest Wildcat to sign with the Flyers is Delton Davis, who inked a letter-of-intent last Thursday to continue his career at Sandhills, which is located in Southern Pines. That's the main intangible that Louisburg College baseball coach Blake Herring takes when he assesses the direction of the Hurricanes' diamond program. And though the campaign might not have ended the way they wanted it to, the Hurricanes made huge strides in 2018. LOUISBURG -- Erica Wammock has long since established herself as one of the top volleyball coaches in the area. 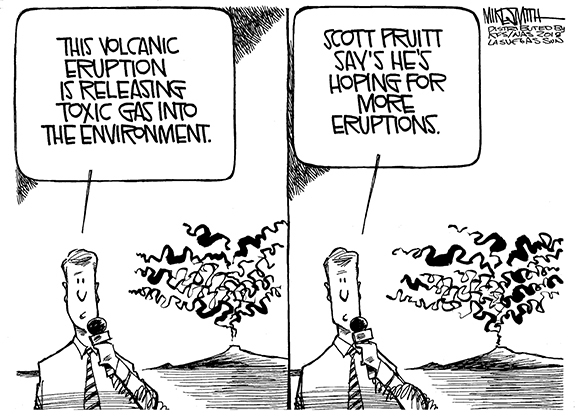 But now, Wammock's work is being noticed statewide. 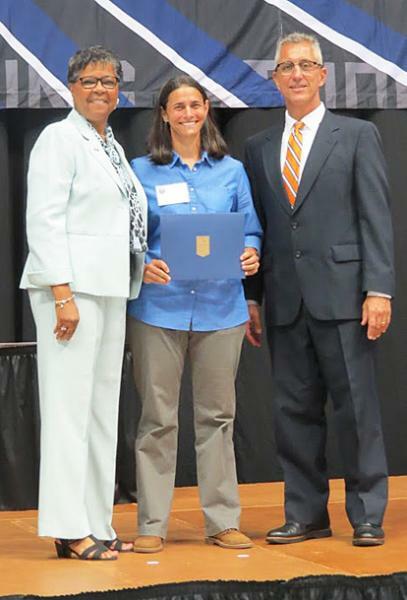 During the recent North Carolina High School Athletic Association Awards Ceremony in Chapel Hill, Wammock was saluted as the 2016 Coaches Association State Coach of the Year by the National Federation of High School Sports. 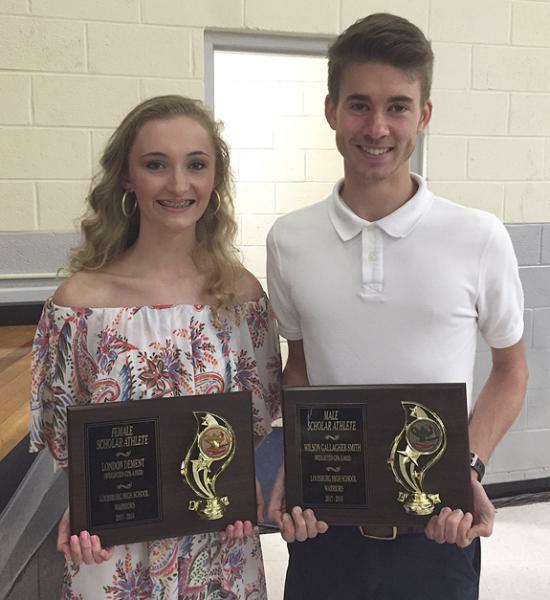 FRANKLINTON -- A pair of Franklinton High School standouts have earned spots on the 2018 All-Big East Conference Boys Tennis Team. No. 1 Singles player Corbin Rednour was tabbed for the All-Conference squad, while teammate Ben Henry was an honorable mention selection. Rednour was one of just two seniors on a Red Rams' roster that went 6-10 overall and 0-10 in the always-tough Big East. MIAMI - The Miami Dolphins have announced they have signed the following 13 undrafted college free agents: North Carolina State cornerback Johnathan Alston, North Carolina linebacker Cayson Collins, Utah State cornerback Jalen Davis, TCU long snapper Lucas Gravelle, William & Mary center Connor Hilland, FAU running back Buddy Howell and kicker Greg Joseph, Notre Dame (Ohio) defensive end Claudy Mathieu, Michigan linebacker Mike McCray, Miami (Fla.) defensive tackle Anthony Moten, UCF defensive tackle Jamiyus Pittman, Fairmont State defensive end Quincy Redmon and Purdue tackle David Steinmetz. GREENVILLE -- Bunn High School alum Spencer Brickhouse hit a pair of home runs and drove in a career-high six runs, while Turner Brown collected four hits and scored four times lifting No. 10 East Carolina University to a 13-6 win over Cincinnati last Saturday afternoon in American Athletic Conference play at Lewis Field inside Clark-LeClair Stadium. ZEBULON -- Ronnie Gideon hit a go-ahead home run in the sixth, Rob Henry added to the lead with a home run in the seventh and Conor Harber worked through two and 2/3 scoreless frames while earning the win as the Carolina Mudcats defeated Wilmington 6-3 on Sunday afternoon at Five County Stadium in a Class A Carolina League matchup. Louisburg High School's Chelsea Roberson tags out a Princeton runner at home play during Tuesday evening's home victory in the softball playoffs. 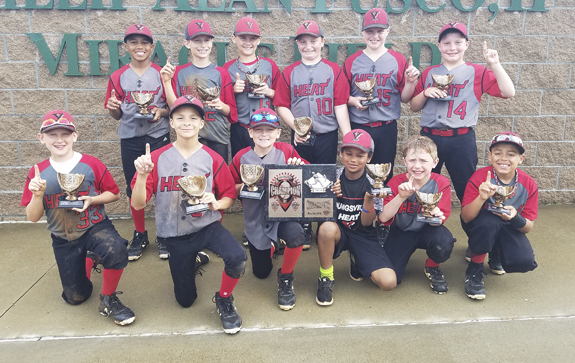 The Youngsville Heat 10-Under Travel Team recently won the Top Gun World Series the weekend of May 5-6 in Dunn. The club secured four victories, including a title-clinching decision over the Carolina Thunder. All players received trophies and helmets, along with a team plaque. Louisburg High School's JyQuan Taylor (1) beats a throw to second base to wrap up a steal attempmt during last Friday night's showdown with Edenton Holmes in the Class 1-A State Baseball Playoffs at Frazier Field. Andrew Willis, professor of music at the University of North Carolina at Greensboro, will return to Cherry Hill on Sunday, May 20 at 3 p.m.
Dr. Willis has performed on the Steinway grand piano at the antebellum plantation concert site a number of times. 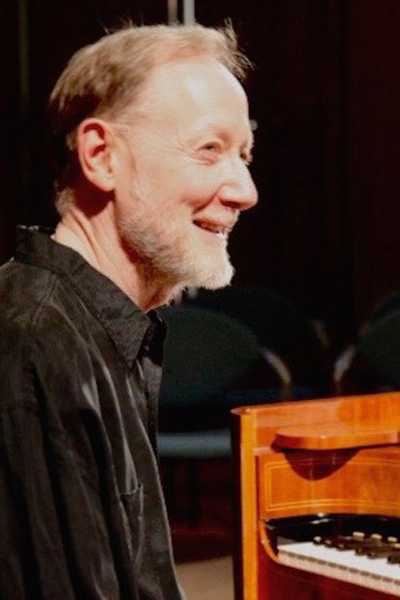 Initially coming to Cherry Hill to preview his renowned "Focus On Piano" series, Dr. Willis in recent years has brought his finest graduate students to perform with him. Franklin County Schools will have contingent contracts in hand for qualified teacher candidates at their second annual exclusive job fair. This year's event will be held from 10 a.m. until 2 p.m. Saturday, May 19, at Franklinton High School. Principals will be there for on-the-spot interviews for roughly 50 positions. Candidates will also have the opportunity to talk to current teachers. 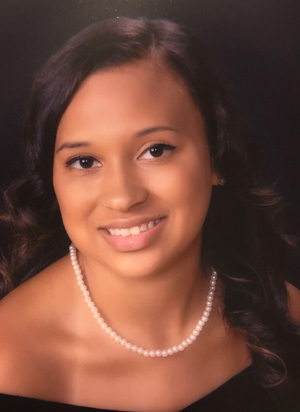 The Student Aid Office of the University of North Carolina at Chapel Hill has awarded the 2018 Alston-Pleasants Scholars Fund merit scholarship for UNC undergraduate studies to Seanna Richardson, a member of the graduating class at Kipp Gaston College Preparatory High School in Gaston. The late Missouri Alston Pleasants established this scholarship in 1958 to provide added recognition and encouragement for selected students from Franklin, Warren and Halifax counties. LOUISBURG -- Elections officials are slated to make the primary election official on Friday. The May 8 election produced one local shakeup, as Meghan Jordan beat out incumbent Gil Johnson for his District 5 seat on the Board of Education. A CENTURY IN THE MAKING. 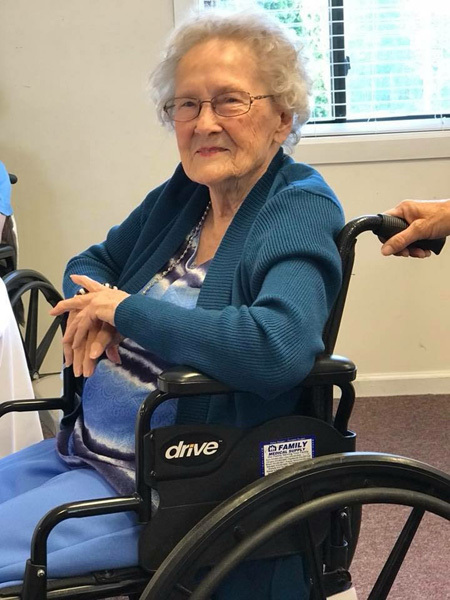 Family and friends celebrated the 100th birthday of Arie Jane Richards Horton on Saturday. The long-time Franklin County resident was presented with cards from Gov. Roy Cooper and President Donald Trump. A service award that's unique to Franklin County will honor the memory of three local people, each of whom made a difference in the community. The award has been created by a foundation that also honors the memory of two other local people, Kay Foy (Culbertson) Robertson who died June 6, 2011, as the result of an equestrian accident and local businessman Willie Briggs Robertson, who died last December at the age of 90. 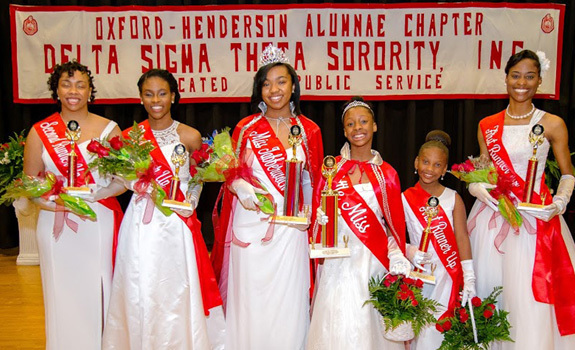 OXFORD -- "Women in Leadership" was the theme of the 64th Jabberwock Extravaganza hosted by the Oxford-Henderson Alumnae Chapter of Delta Sigma Theta Sorority, Inc. The setting for the Jabberwock Scholarship Pageant was Northern Granville Middle School Auditorium in Oxford on Saturday, April 14.